We know this of the stars because God made them, along with the sun and moon, to light the earth (Ge 1:15,17-18), even though He made them very far away. Since fulfilling His purpose in creating stars requires God to create starlight between Heaven and Earth as though it had been traveling for millions of years, we can be sure He did. 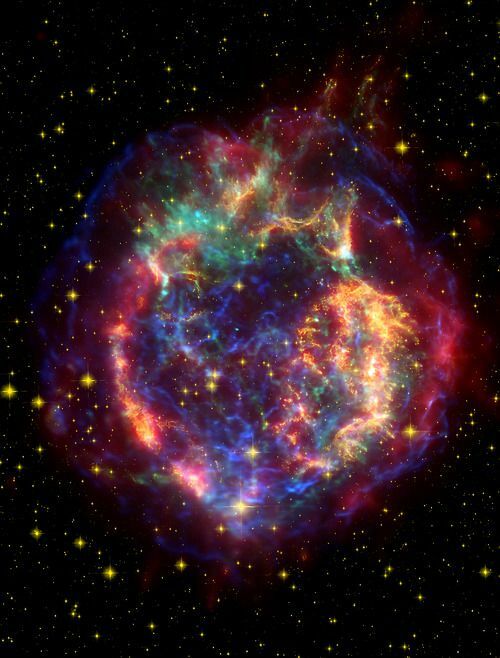 Yet we observe supernova’s exploding millions of light years away, moving some to reason that if God created starlight between us and the cosmos only 6 thousand years ago then He’s playing tricks on us, since these observable events never actually occurred — only existing in photons streaming to Earth, the exploding stars themselves a fiction. They insist God doesn’t play tricks or write fiction: if we see light carrying information about an event, they insist the event must have physically occurred. But this is like claiming mature trees in Eden, having rings on Day 6 … which isn’t unreasonable … require decades of actual weather patterns before Creation, or that smooth stones in a brook on Day 3 require years of water erosion. God creating a world in motion, with the appearance of age, as if it had already been in existence for a while, isn’t a trick or fiction: it’s genius. How else should He have created the universe? Why is this such a problem? God speaks of what will be as if it’s already been, and reveals what would have been as if it was. If something exists in the mind of God, what presumption calls this fiction? The some link is to a video by ICR astronomer Jason Lisle: he presents this argument at time 47:25. His anisotropic light theory is that starlight arrives at Earth instantaneously, but Hugh Ross shows this to be inconsistent with physics in this video at time 13:00. Both men reject the proposal that God created Earth with the appearance of age as absurd, unworthy of comment. Perhaps this is yet another example of intellectuals blindly dismissing simple explanations as simplistic, failing to think them through. The writing was excellent. A Good perspective.